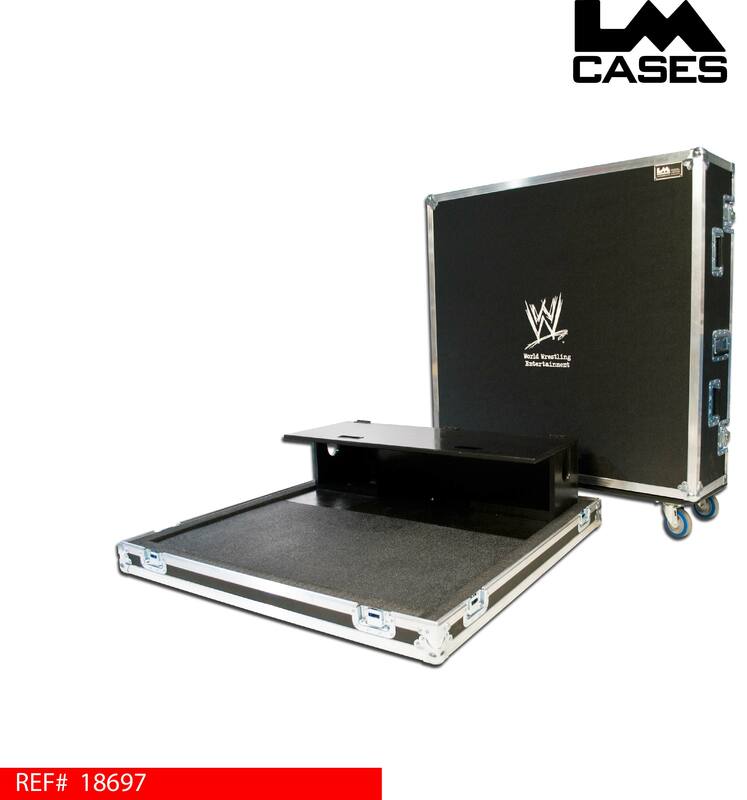 This case was built for World Wrestling Entertainment as part of their mobile production department. 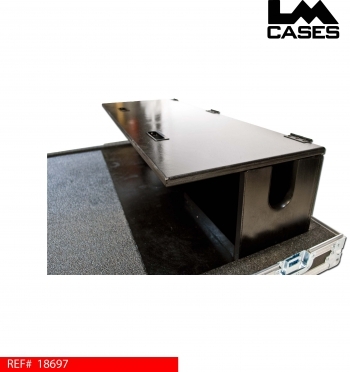 The case features a custom 3/4" birch doghouse that allows the doghouse lid to meet with the forward set meter bridge. 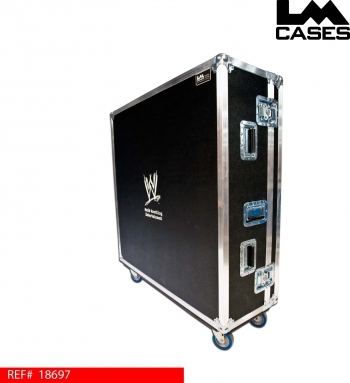 The case is built from 3/8" plywood and features 8 recessed handles, 4" Colson casters and a custom silkscreen of the WWE logo.